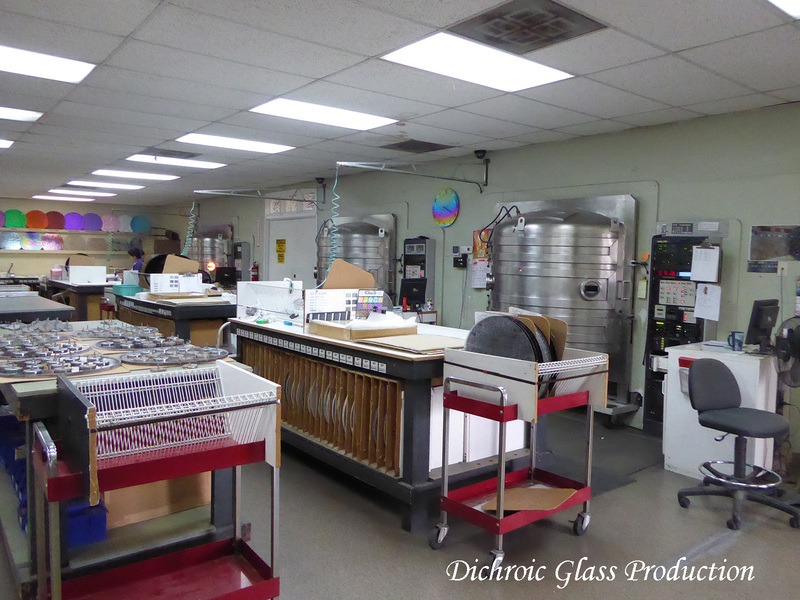 Here’s a peek inside the dichroic facility of Sanberg Coatings, where all our Murano Glass goes for the added bling or as I think, the magic machine that gives us all these added colors. The technology is called “vacuum thin film deposition” and was discovered in 1887. It took military and aerospace needs to support the research and development of the expensive equipment to produce on a large scale. Tax dollars paid for the creation of these complex machines for use in optical equipment, lasers, fiber optics, optical recording, infrared guidance, photoelectric converters, Dolby 3d Projection and mundane things like eyeglasses or camera lenses. 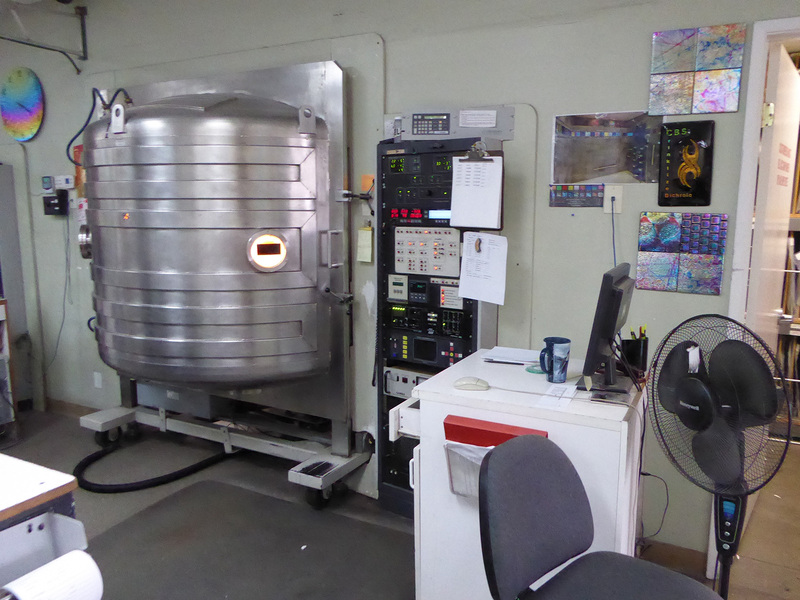 The coating process is done in a vacuum deposition chamber by vaporizing quarts and metal oxides with an electron beam gun and condensing micro-thin layers on the surface of the glass (or whatever you want coated) in a crystal structure. Jerry Sandberg, an engineer as well as jewelry artists, worked at a high tech firm producing thin film components in southern California when he discovered that another artist, Murray Schwartz was digging through the trash at the facility for the small pieces of reject mirrors. 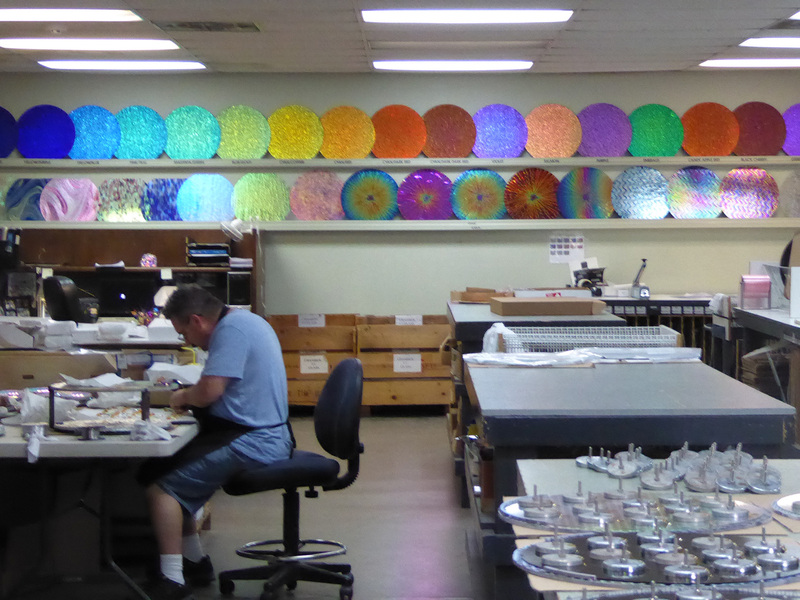 He too began collecting the rejects and along with Murray, they began the development of the first three dichroic glass colors designed for the art glass industry: Cyan/Red, Magenta/Green and Yellow/Blue, colors which we still use today. It’s a bit confusing, the the first color is the input color, the second is what you see when it is fired. So if we want Red we buy Cyan/Red. 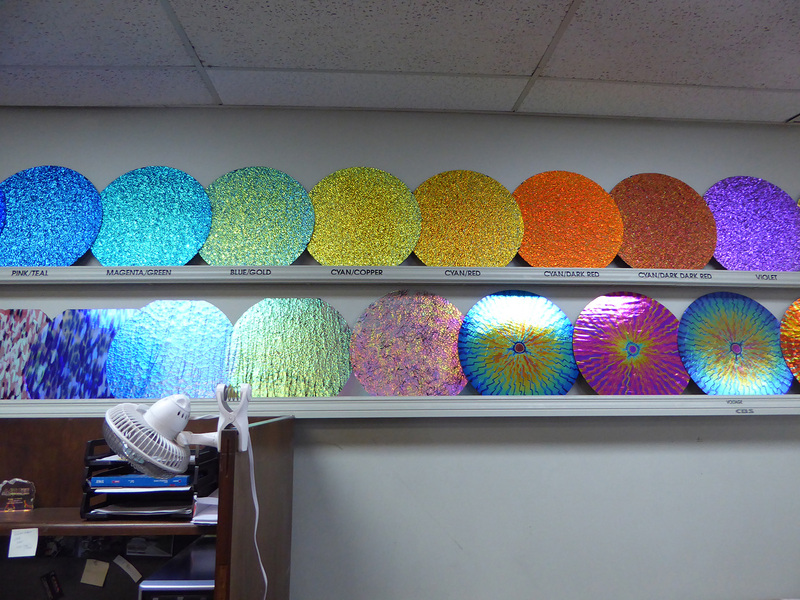 It was Murray’s wife, Rupama who put the first scrap of dichroic into her kiln, an experiment that led us all to today’s incredible array of art produced with the colors dichroic made possible. Like all our businesses, Sandberg needs to have sheets ready to ship. 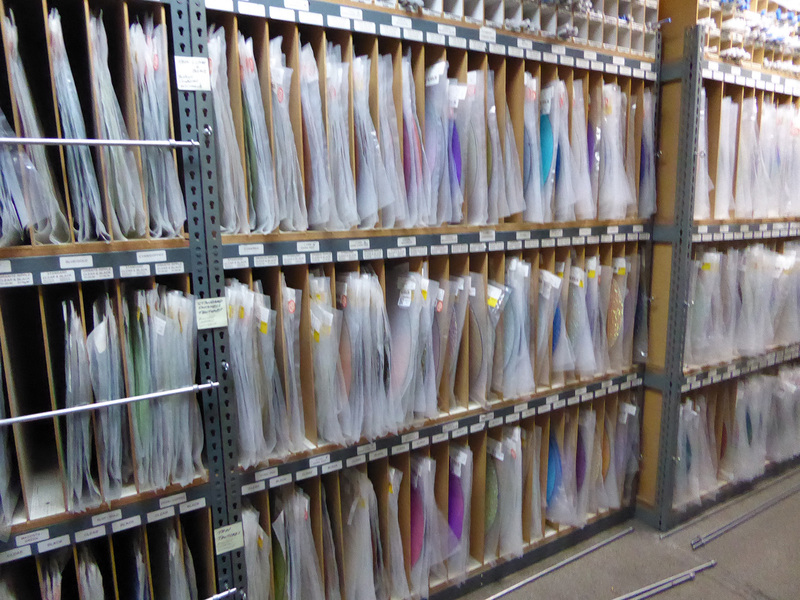 Here is there stock room. With the price of an average sheet about $150, it’s a sizeable investment. Since our glass comes from Murano, there is the added cost of the glass, freight, incoming Custom Duties so if you are wondering why our dichroic beads are expensive, here are the clues! Since the coating are not done in heat, almost anything can be coated – expensive, but can be. 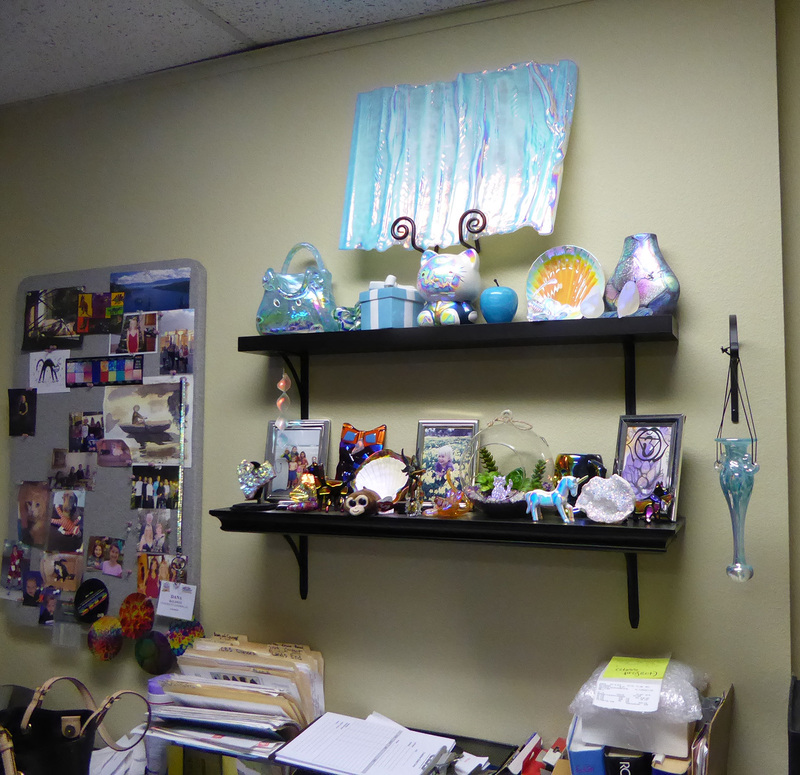 Below are some pottery, glass, things you might buy at a thrift shop, a home decoration store. The only issue I see is that you can coat only one side (or you must flip and coat the other). I say it’s magic because the technical description defies my understanding and I am happy to have Sandberg work his magic for our beads and pendants. Note: Sandberg sells through distributors, but if you want to take a class, you can find the classes available on their website Coating by Sandberg. Always appreciating these blogs..love the glass! 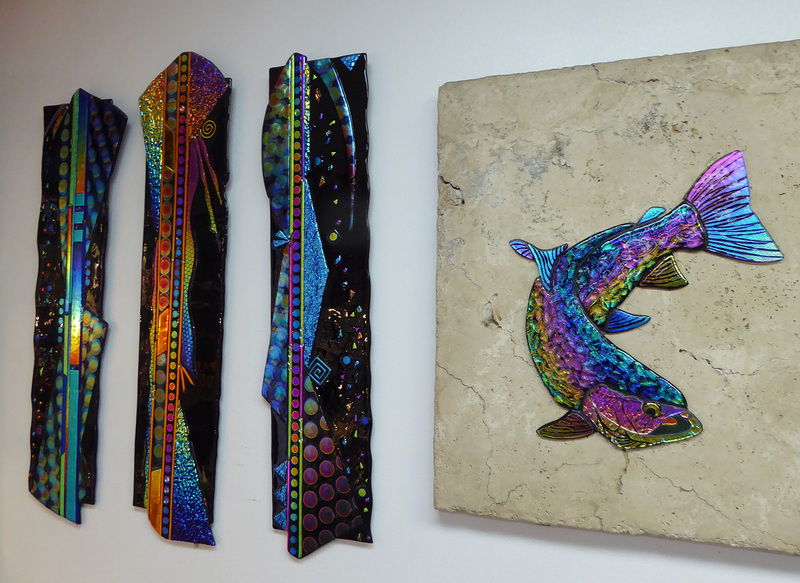 Beautiful Dichroic Glass so many different variations. My dad does this on a hobby scale and I love to see the combos.